Quality Web Hosting - 優質網頁寄存，您的網頁寄存服務供應商. 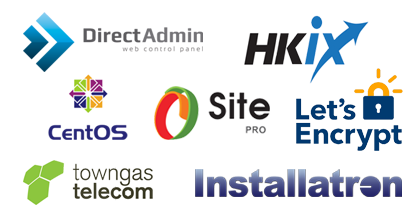 Customers' privacy is important to HKWebHost as one of our greatest assets is customers' trust. Keeping customer information secures, and using it only as our customers would want us to, is a top priority for us. We will safeguard, according to strict standards of security and confidentiality, any information our customers share with us. - our company may collect personally identifiable information from Customers in a variety of ways, including through online forms for ordering products and services, and other instances where Customers are invited to volunteer such information. - our company will limit the collection and use of customer information to the minimum we require to deliver superior service to our customers, which includes advising our customers about our products, services and other opportunities, and to administer our business. - our company may also collect information about how Customers use our Web site, for example, by tracking the number of unique views received by the pages of the Web site or the domains from which Customers originate. We may use "cookies" to track how Customers use our Web site. A cookie is a piece of software that a Web server can store on the Customers’ PC and use to identify the Customer should they visit the Web site again. While not all of the information that we collect from Customers is personally identifiable, it may be associated with personally identifiable information that Customers provide us through our Web site. - our company will permit only authorized employees, who are trained in the proper handling of customer information, to have access to that information. - our company may use personally identifiable information collected through our Web site to contact Customers regarding products and services offered by us and its trusted affiliates, independent contractors and business partners, and otherwise to enhance Customers' experience with us and such affiliates, independent contractors and business partners. - our company may also use information collected through our Web site for research regarding the effectiveness of the Web site and the marketing, advertising and sales efforts of us, its trusted affiliates, independent contractors and business partners. - our company may disclose information collected from Customers to the Authority, such as Hong Kong Police Force and Hong Kong Custom, or required by law to help on their investigations against some illegal crimes. - our company may disclose information collected from Customers to trusted affiliates, independent contractors and business partners who will use the information for the purposes outlined above. We may also disclose aggregate, anonymous data based on information collected from Customers to investors and potential partners. Finally, we may transfer information collected from Customers in connection with a sale of ours business. - our company will not reveal customer information to any external organization unless we have previously informed the customer in disclosures or agreements, been authorized by the customer, or are required by law. - Information about Customers that is maintained on our systems is protected using industry standard security measures. However, we cannot guarantee that the information submitted to, maintained on, or transmitted from our systems will be completely secure. - Customers have the right of access to and for correction of their personal data held by us. Customers' request for access or correction will be dealt with in accordance with the Ordinance. - At any time, customers can contact us to remove their names from our marketing lists. Copyright © 2017-2019 Shing Mei Network Service Company All rights reserved.